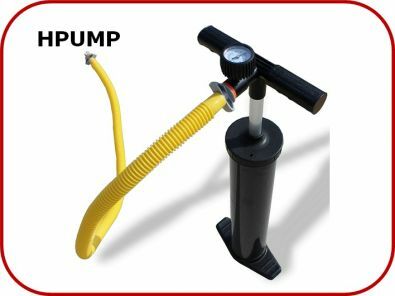 ACCESSORIES :: Air Pumps & Parts :: Hand Pumps with removable adaptors :: Hand Pump - SATURN Inflatable Boats, Kayaks, Rafts! Lowest Prices in Canada! Does come with a pressure gauge. Pump may not be exactly as shown. If you have Older Saturn Boats please contact us for more info. Older Naru valves need thicker rubber gasket for the adapter that goes into valve. New high-performance Saturn air pump specifically developed for Saturn inflatable Stand Up Paddle Boards, Inflatable Boats, Kayaks, KaBoat or any type if high pressure drop-stitch inflatable chambers. 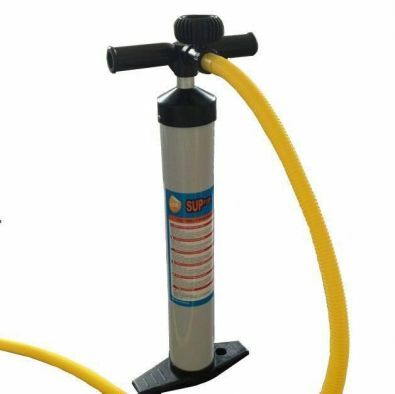 This stirrup hand pump is tall and thin with a good air capacity and an aluminum shaft which allows it to inflate a SUP board, boat, raft or kayak very quickly. Our Saturn Pump comes with Naru valve adaptor already installed. For brands other than SATURN, you will need to cut out original adaptor and replace it with your brand adaptor.